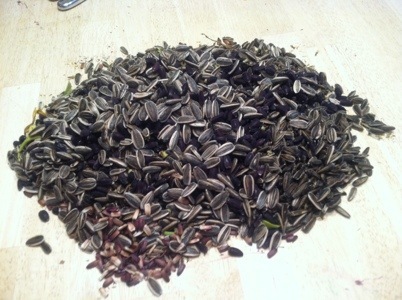 Making your own sunflower seeds is easy and fun! 1). First, start by growing sunflower varieties like ‘Mammoth’ that give you the big seeds you are familiar with. Cut them when the faces are dark and the backs are yellowish brown. 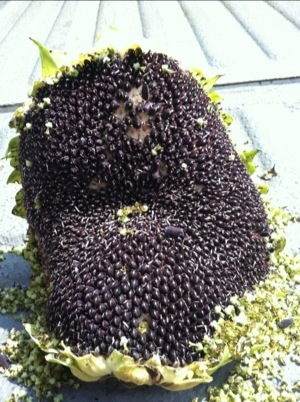 2) Using your hand, brush the faces and the seeds will easily come out. Kids love this part! 3) Seperate out anything you don’t want to eat. 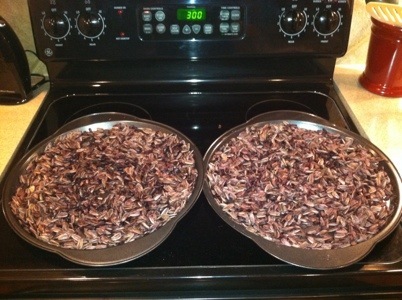 Then soak your seeds in water overnight in about a cup of salt. 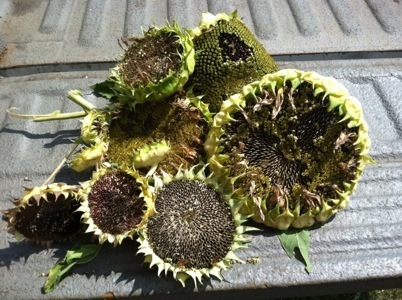 * Don’t cut your sunflowers too soon or your seeds will be small and flat. 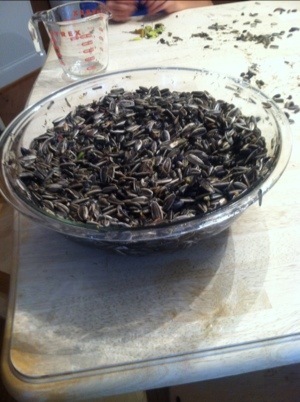 * Don’t oversoak your seeds or they won’t be as crunchy. * The black seeds in our picture have a little different taste and they turn everything black. Try unsubscribing from it all together. Then you can go back and sign back up for updates if you like. Pretty sure I can’t unsubscribe you from receiving comments since you have to be logged in as you to change those settings. Sorry!